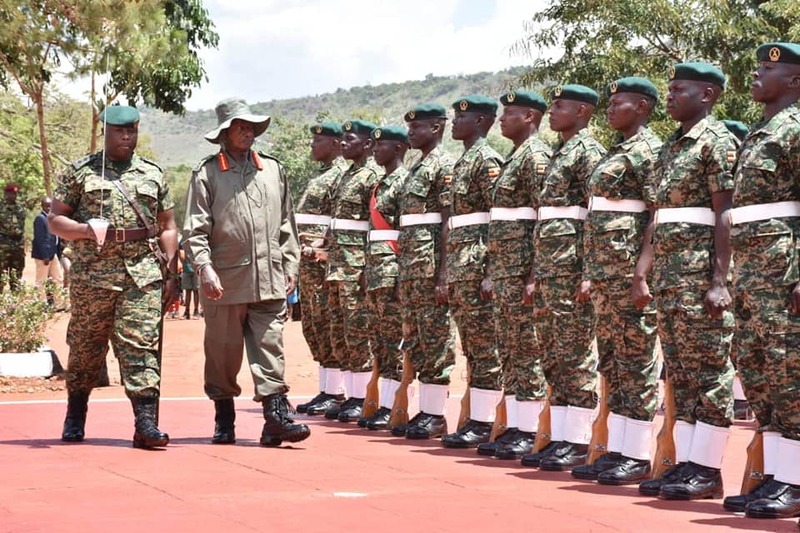 At the Singo barracks, Mr. Museveni told soldiers to uphold the National Resistance Army, (NRA) principles saying the UPDF was the forerunner of the same. He maintained that as the preachers, should endeavor to exercise those principles also urging them to learn, understand, internalize and apply the principles wherever they are deployed. Mr. Museveni enumerated those principles as Patriotism, Pan-Africanism, Unity, and democracy. He said that colonialism had made the country dependent on the British economically, politically, socially and militarily adding that this state of affairs had been enforced through the colonial Army. 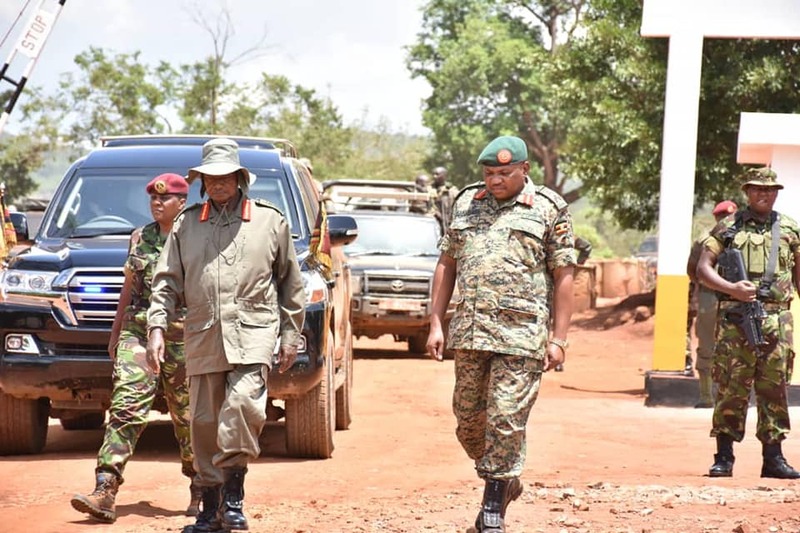 “UPDF is not the first Army. There were other armies like the King’s African Rifles, which was an Army for the British King. The big gun you see at Entebbe is a German gun captured from Tanganyika by Africans working for the British. The mission of colonialism was to make us work for foreigners and that is why coffee was called Kiboko because the British used to beat the Africans to grow coffee,” he said. He revealed that other challenges, such as political and traditional fragmentation, the stupidity of looking down on women, male chauvinism, sectarianism, and social underdevelopment, had largely stagnated Africa and rendered the continent underdeveloped. He, however, noted that moves have been made to solve those challenges through working for economic integration, would bring about prosperity to the people. He, therefore, stressed that the Army also has a role to play in teaching farmers to shift from subsistence farming and embrace modernized profit-oriented agriculture. 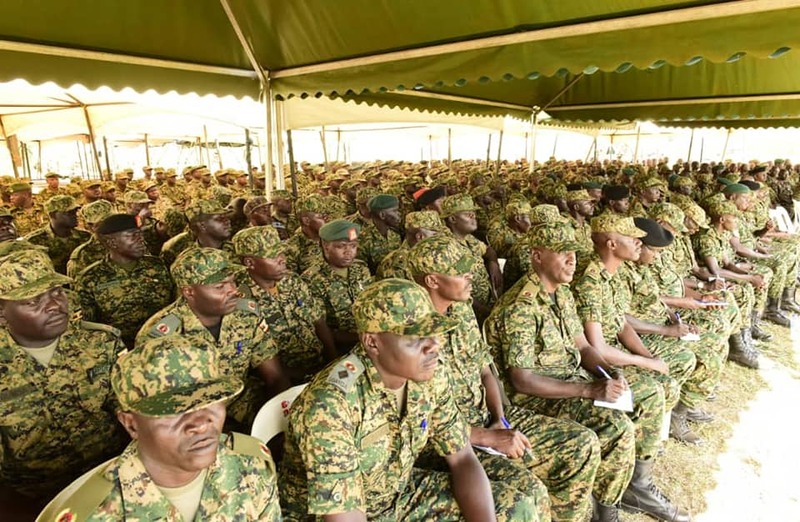 Gen. Museveni advised UPDF soldiers to always train hard and be confident of themselves in their calling to serve and protect wananchi. The President also advised them to lead responsible and disciplined lives free of alcohol consumption, smoking, and promiscuity. He observed that indiscipline in life would not only lead to immature death but also a loss to their families and the country as well.